Lugging sacks full of groceries home from the supermarket can sometimes really hurt. If you’re walking, you have to gauge just how much you can carry. Then you get to the store and find that they are have a sale on #10 cans of beans. It’ll be okay, you tell yourself: I can carry all that. And then you do. By the time you get home, your fingers are red and numb from strain, and you tell yourself there has got to be a better way. 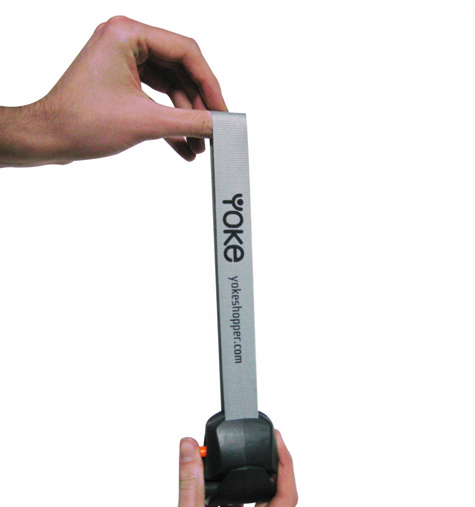 The Yoke Shopper can be that better way. 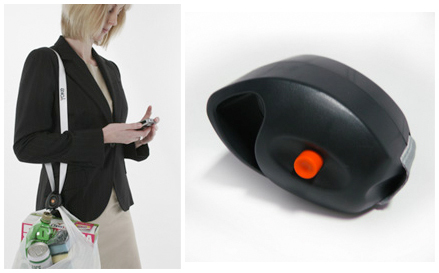 Basically a portable hook that is worn across the body, the little gadget acts as an extra hand at a moment’s notice. Actually walking with the gizmo equipped might take some getting used to, as full grocery bags are bound to swing around, but I imagine that could be controlled simply by steadying them with your arm as you walk. Certainly better than trying to carry all those bags with fingers that have no circulation.